Increasing your fiber intake can help your body in so many ways, that you owe it to yourself to start buying foods that add to the cause. Here’s a quick reference on which high fiber fruits to put in the cart the next time you’re strolling through the produce section. 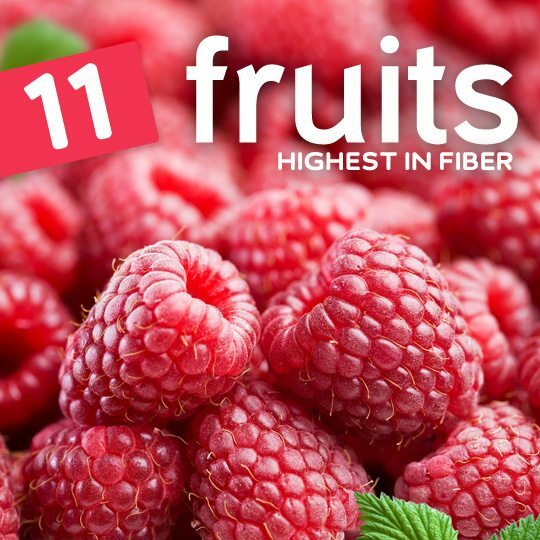 They are the fruits with the most fiber per 100 grams, so pound for pound they are the biggest contenders in the fiber realm. 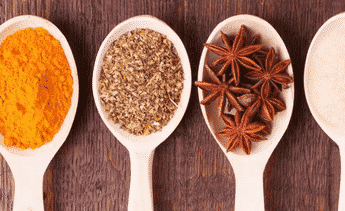 They also bring plenty of antioxidants and other vitamins to the table, in addition to boosting your fiber. Avocados get the title as having the most fiber in them, even though they have the same amount per 100 grams as prunes. The reason they win the award is that it’s more likely that you’d consume 100 grams of avocado in one day, which will provide nearly a third of the amount of fiber you need on a daily basis. Avocados are so versatile that you can add them to just about any meal for a boost of fiber, potassium, and healthy fats. They can also serve as a snack all by themselves, holding you over until your next meal. Prunes have long been associated with improved digestion and helping to keep things moving along, so it’s not a surprise to find that it ranks very highly on this list. Raspberries are the most potent of the berries when it comes to fiber, giving you nearly a quarter of your daily requirement in a 100 gram serving. Raspberries don’t usually get a lot of press for their fiber content, because they contain so many antioxidants you mostly hear about their antioxidant value. So this is really a double whammy because your body really gets a boost on two different levels. Guava might not be a fruit that you currently consume on a regular basis, but you may want to start when you find out how much fiber it has. It contains a fifth of your recommended daily value of fiber. Some people are scared off by guava and don’t know how to prepare it for consumption. Sure, bananas are easy enough to figure out, but guava takes a bit of know-how. Check out this YouTube video on how to prepare guava and get it ready to eat. Once you become a pro at preparing it you’ll probably eat it more often, boosting your fiber reserves by a lot. 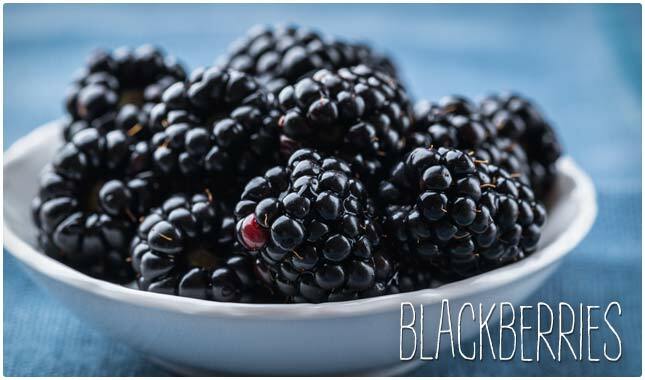 Blackberries are often overlooked because strawberries, blueberries, and raspberries get all the attention. But this is a berry that you simply must start eating more of, it is packed with antioxidants and large amounts of fiber. Blackberries bring with them a distinct flavor, and they go really well with their berry cousins. You can try eating them by themselves, or in a mixed berry salad. They make a great way to start your day, and add greatly to the amount of fiber you’ll get for the day. You’ll want to opt for raisins instead of grapes because raisins contain more fiber per 100 grams than grapes. This is a good thing because raisins are often included in various recipes other snacks like trail mix, so their versatility makes them easier to consume on a regular basis. The fact they are also high in fiber is just icing on the cake. 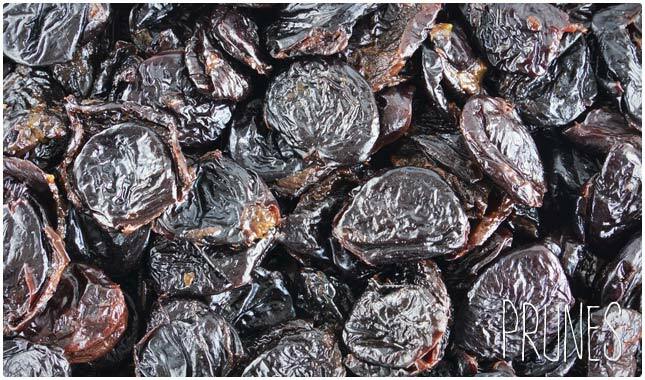 Raisins also contain antioxidants which will help your body fight free radical damage, and they’re naturally sweet so you don’t have to feel like getting your fiber requires eating a bunch of food that tastes like cardboard. Pears hold the number seven spot in our list of fruits that contain higher amounts of fiber than others. When you eat pears you’ll want to make sure that you leave the skin on because it contains a lot of the fiber that is in a pear. If you peel the pear then you’ll be getting rid of a lot of fiber you should otherwise be consuming. Pears also contain a granular form of fiber, and its good practice to eat a variety of fruits because each has different characteristics and different features and benefits for the body. 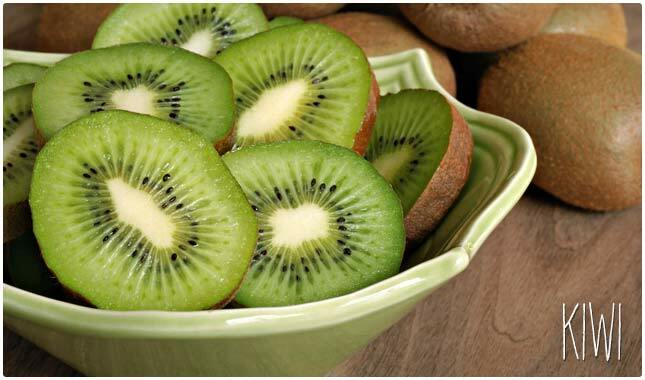 Kiwi is a delicious fruit that you can use as part of your plan to start getting more fiber in your diet. Kiwi are nice because they come in individually packaged servings so you can grab one or two of them and have your fruit and fiber needs met. While they may not contain enough fiber to rank at the top of our list, they should definitely not be overlooked and they make a great companion to many other fruits, most popularly seen cavorting with strawberries for a flavor attack on your taste buds. Bananas are great because they are so portable you can take them with you anywhere and get a fiber boost whenever you need one. They contain a total of 10% of the fiber you need each day, and of course they are well known for their potassium dose. If you eat cereal in the morning, a good practice is to slice a banana on top of it to add to the fiber you get from the whole grains. Getting your fiber needs met is a group effort, and you can’t rely on just one food to get the job done. It’s no surprise to see apples on a top list of foods with fiber because for years we’ve known just how healthy they are for the human body. In addition to the vitamins and minerals apples contain, they are also a respectable fruit when it comes to getting your fiber for the day. A 100 gram serving of apples will yield you 9% of your recommended daily value of fiber . When you combine that with the other fruits and vegetables should be eating each day, you’ll have no trouble reaching the levels you should be at, and your body will begin to thank you for it with improved health. 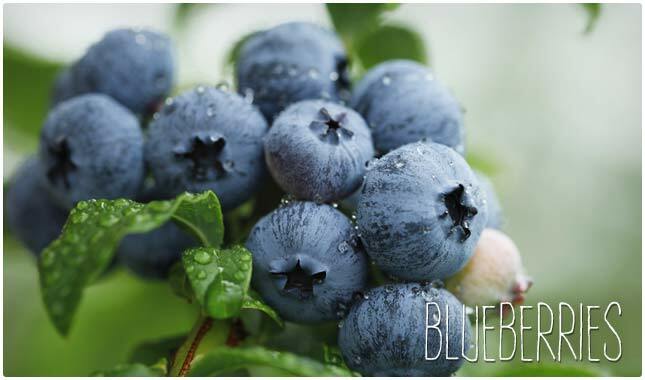 Not only are blueberries credited with having a lot of antioxidants but they also fare pretty well on our list of fiber-filled fruits. Don’t think that just because they’re ranking 11th on the list that they don’t contain enough fiber to make it worth your while. They constitute nearly 10% of the total amount of fiber you’re supposed to be getting each day, so by eating a balanced diet you should be able to reach your quota. The best part is how good blueberries taste. They make a great start to your morning mixed with other high-fiber berries. can you recommend a low fibre diet ?